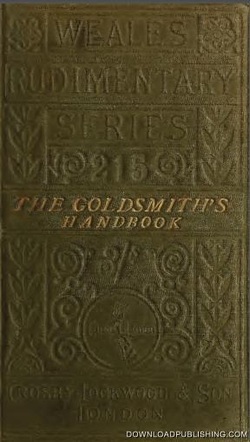 - Containing Full Instructions for the Alloying and Working of Gold - Including The Art of Alloying, Melting, Reducing, Colouring, Collecting and Refining; The Processes of Manipulation, Recovery of Waste, Chemical and Physical Properties of Gold; With a New System of Mixing Its Alloys; Solders, Enamels, and other useful Rules and Recipes. - Illustrated. him a constant means for consultation and instruction. who have been under his direction and control. of patience, careful observation, and perseverance.